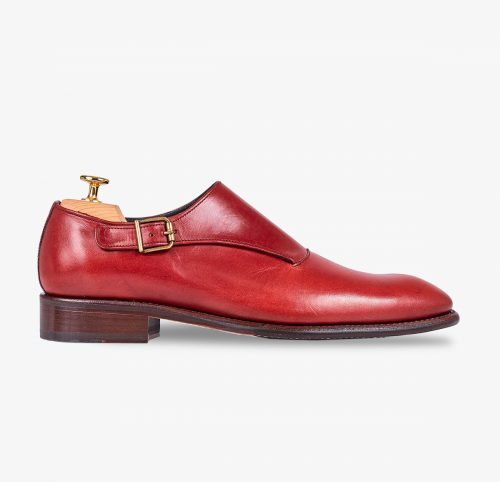 Cherry coloured vegetable tanned single-buckle leather shoe with plain toe. 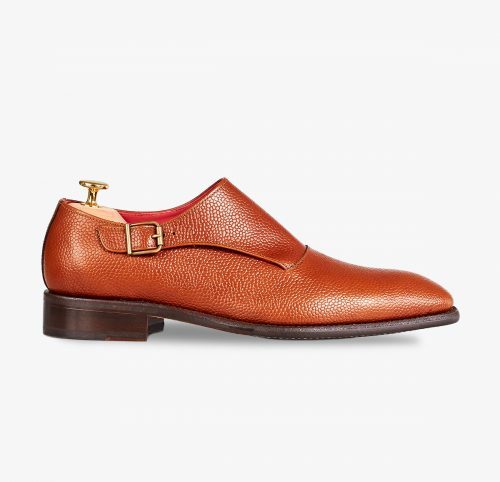 The perfect shoe for an elegant and contemporary style. Sandalwood coloured Cordovan Leather Buckle shoe with plain toe. Double buckle leather shoe with perforations on a straight toe, finished in antic chestnut lacquer.